As part of Telefonica — one of the world’s largest providers of broadband and telecommunications services, with main operations in Spain — Telefonica Digital is a global business division of its parent company with the mission to “seize the opportunities within the digital world and deliver new growth for Telefonica.” Last week Telefonica Digital introduced TU — Spanish for “You” — a ” new umbrella brand for its direct to consumer services” and has launched its first product, TU Me, a free global communications mobile app, that puts all calls, texts, shared photos, etc. into one simple timeline and as long as you are on Wi-Fi or using your data plan you can use it wherever you are. 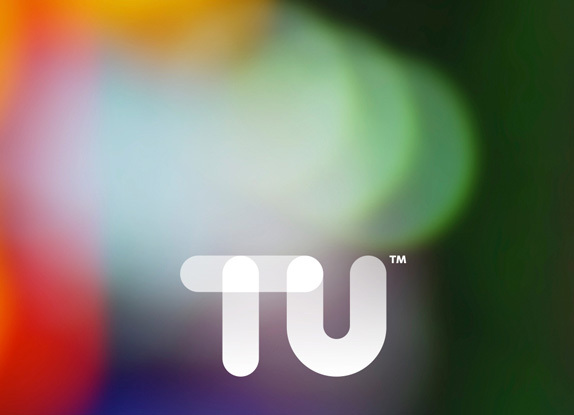 The naming, identity, and visual system for TU and TU Me have been developed by London-based SomeOne. At first glance this new identity seems to target many popular trends, including subtle gradients, overlays, and geometric typography, making it easy to dismiss as one more app-ish looking brand, but there are a couple of details that make it stand out and help establish a visual structure for the main venture, TU, the first app, and all potential launches in the future. The main device that sticks out, which is also not that original, is the circle-with-one-square-corner — is there an official name for this thing? — that appears, first, at the intersection of the “T” and “U” in the main logo, in some of the characters of the custom alphabet, and on the icons of the app. The shape isn’t groundbreaking but the way it is embedded throughout the identity is a clever new way of using it and establishing it as a key component of the identity. 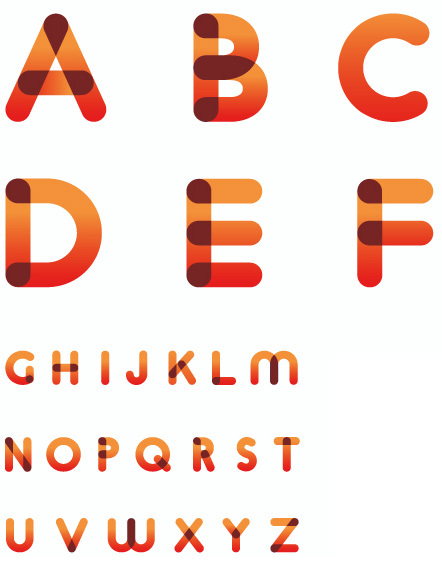 Also, of the many possible gradient executions, the ones used here are enjoyable — which are more fog-like rather than just transitions from one color to another — especially the orange to pink. Also, considering that this is a global app from a very large corporation for anyone who has iOS or Android, the identity is simple enough to appeal to a very large audience. As part of Telefonica — one of the world's largest providers of broadband and telecommunications services, with main operations in Spain — Telefonica Digital is a global business division of its parent company with the mission to \"seize the opportunities within the digital world and deliver new growth for Telefonica.\" Last week Telefonica Digital introduced TU — Spanish for \"You\" — a \" new umbrella brand for its direct to consumer services\" and has launched its first product, TU Me, a free global communications mobile app, that puts all calls, texts, shared photos, etc. 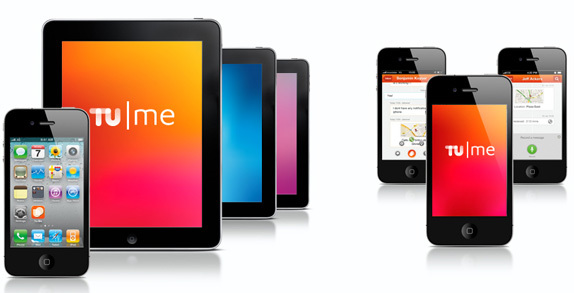 into one simple timeline and as long as you are on Wi-Fi or using your data plan you can use it wherever you are. 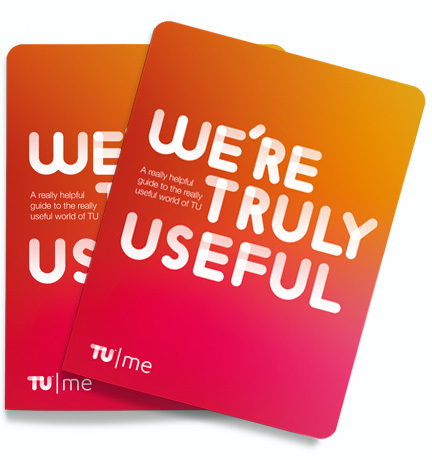 The naming, identity, and visual system for TU and TU Me have been developed by London-based SomeOne.